Skilly was born on July 10, 1936, in Easton, Penn., to David Bishop Skillman and Frances Skillman. Prior to pursuing higher education, Skilly enlisted in the Army as a private and served in Korea and Japan under Gen. Daniel B. Stickler from 1955 to 1957. During his service, the general somehow allowed him to play golf with President Eisenhower, which greatly increased Skilly’s status amongst his fellow soldiers. He never forgot his Army buddies and remained an ardent supporter of veterans throughout his life. Upon returning home, Skilly graduated from Lafayette College in 1961. Skilly made instant and lasting friendships with a gravelly baritone greeting and blinding smile that won hearts immediately. A born salesman, he got his start with Alpha Portland Cement, moved to “Car and Driver” magazine, and then joined the world of television with CBS in New York City. It was in New York that he also met the love of his life, Heidi Ruth Hjertstrand, a beautiful Swedish Pan Am flight attendant, whom he stole from the arms of Frank Sinatra. When Skilly was transferred to Chicago, he found he couldn’t live without her, and they married in 1973. The Skillmans returned to New York and settled in Cedarhurst, Long Island, in 1974, where Skilly joined and held court on the back porch of The Rockaway Hunting Club to everyone’s delight. In addition to capturing a golf championship, he served with distinction as a governor. His sales career continued its trajectory when he joined 20th Century Fox. He had an extraordinary run selling advertising for “M.A.S.H.” This was followed by great opportunities with Turner Broadcasting, from which he retired in 1992, when he lost his beloved wife to non-Hodgkin’s lymphoma after 25 years of love and devotion. He considered her love his greatest gift. Friendships were most important to Skilly. He was honored to be godfather to 22, and “good father” to some 33 children. In lieu of birthday, graduation, wedding and other attendance requirements and gifts, he took them on an African safari in 2001. Photo ops of wildlife and wild times were all chronicled on video and camera by the kids—a trip they will remember for the rest of their lives. “People” magazine wanted to cover the event as well, but as usual, Skilly’s generosity was kept low key, and he turned the magazine down. David was preceded in death by his beloved wife, Heidi; his parents, David Bishop Skillman and Frances B. Skillman; and his sister, Judith B. Roseman. He is survived by his dear brother, Willis B. Skillman of Naples, Fla.; and his nephews, Andrew Skillman of Butte, Mont., Robert Skillman of Reston, Va., Stephen Skillman of Hingham, Mass., and William Chapman Jr. of Sunnyvale, Calif.; and his great-nieces, Mary Elizabeth, Catherine, Caroline, Margaret and Maxine; and numerous cousins. Skilly is also survived by his loving companion of 20 years, Colleen McCabe, whom he affectionately called “The Nurse.” His friends called her, “the Saint.” She adored him from the day they met and loved him unconditionally. 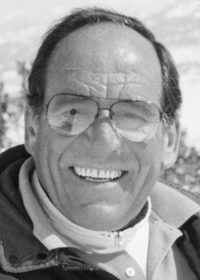 A Celebration of Life service will be held Fourth of July weekend 2015 in Sun Valley. Time and details will be released at a later date.